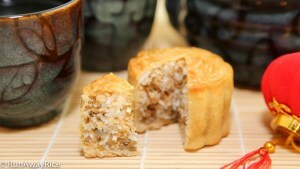 Mid-Autumn Festival is approaching and mooncakes are essential treats for celebrating this festive holiday. 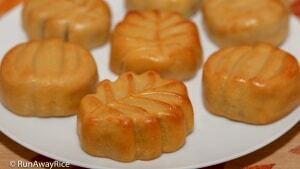 Making mooncakes at home isn’t difficult at all. They take a bit of time but the process is a lot of fun! 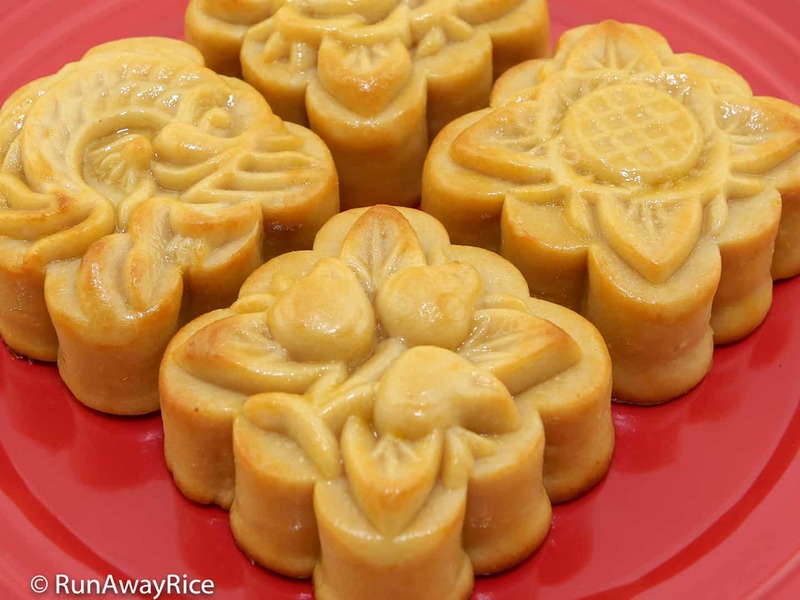 A touch of artistry helps but you don’t need to be a pastry chef to make beautiful mooncakes. 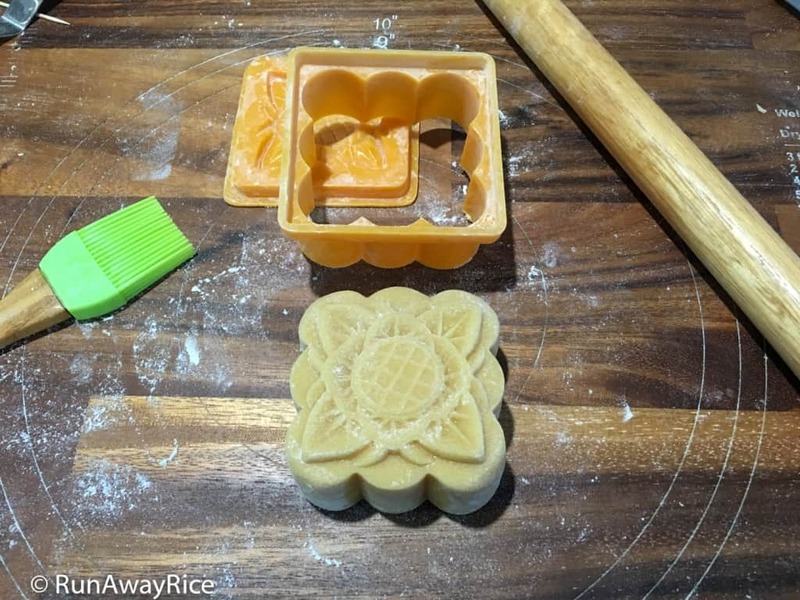 If you’re a beginner mooncake maker or just thinking about making mooncakes, this quick guide is for you. 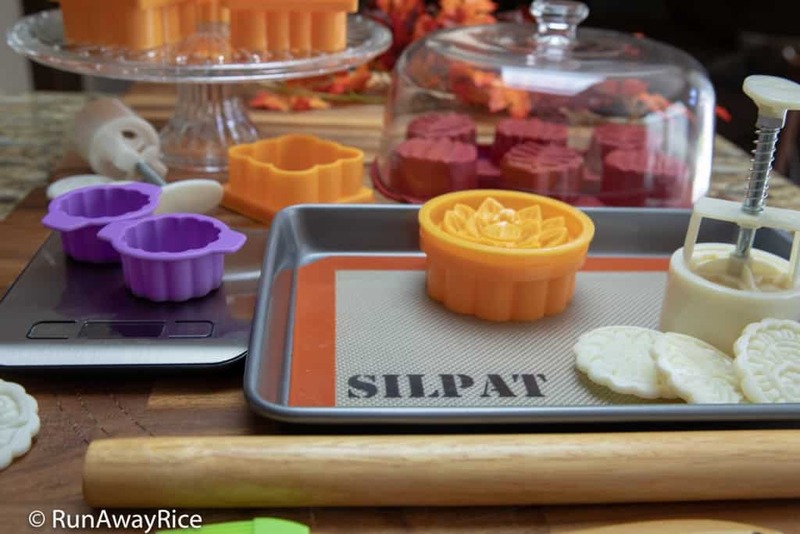 It covers the basics tools for making the most delicious mooncakes. I hope you find this guide helpful! 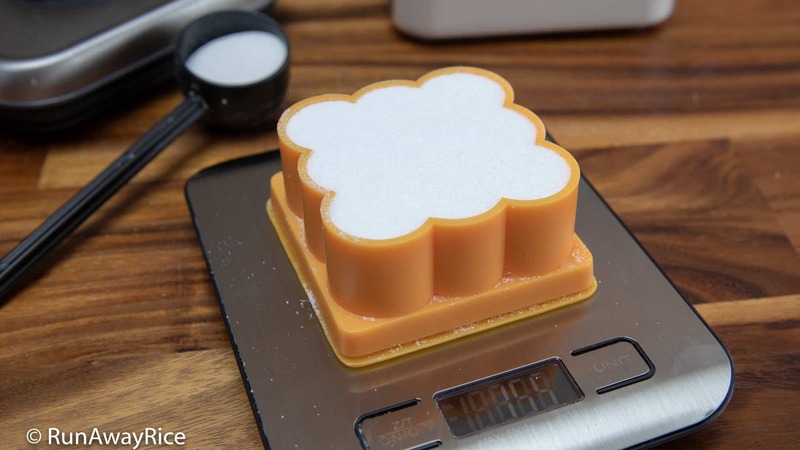 A food scale is very helpful for making mooncakes. Use a food scale to figure out the size of a mold and apportion the casing and filling. I typically don’t use metric measurements in cooking. When making mooncakes, however, I find it easier to weigh and calculate in grams rather than ounces. A food scale really helps to make nicely uniform mooncakes. A smooth, flat surface is best for rolling dough to an even thickness. It’s especially helpful if the board has circle or measurement guides for rolling the dough to the needed size. A small rolling pin makes it easier to roll smaller amounts of dough for making baked mooncakes. I also use the rolling pin to gently tap the sides of a mold to release a cake. Have a pastry brush to remove excess flour from the cakes. 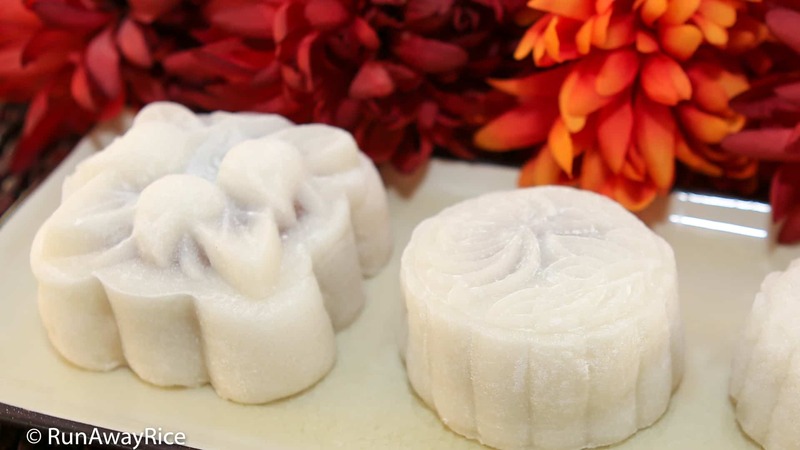 For baked and snowskin mooncakes, there’s usually extra flour on the cakes as molds are generously dusted to prevent sticking. Use a pastry brush to gently whisk away the excess flour. When doing this, be careful not to dent the designs. A non-stick baking mat helps with even baking and easy clean-up. This one from Silpat is my favorite. It’s super sturdy and nothing sticks to it. The mats are also a great way to add a non-stick surface to a regular or old baking pan. If you’re an avid baker, this is a must-have! A light colored baking sheet or cookie sheet helps with even baking and browning. Dark colored pans tend to over-bake the bottoms of mooncakes. A light colored baking sheet allows the bottom and sides to cook at the same temperature. 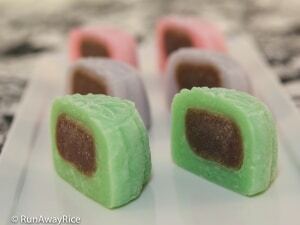 I bake my mooncakes in small batches of 4-6 cakes to help them brown evenly. I also leave plenty of room in between so I can later apply the egg wash without bumping into the other cakes and messing up the beautiful patterns. 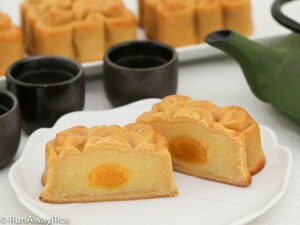 Have a covered cake plate or container to store baked and snowskin mooncakes for 24 hours after making them. This allows the oils to release and the flavors to meld. 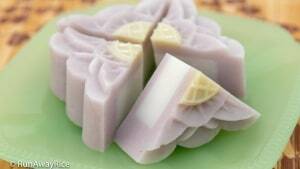 The results are glossy baked mooncakes and supple snowskin mooncakes. If you’re tempted to sneak a bite, go for it! 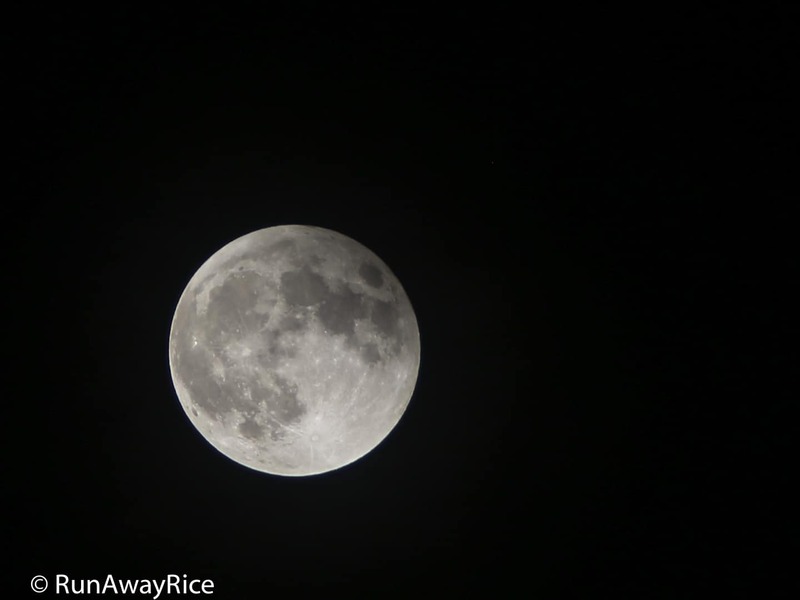 🙂 The mooncakes will be sweeter and more flavorful after the resting period. 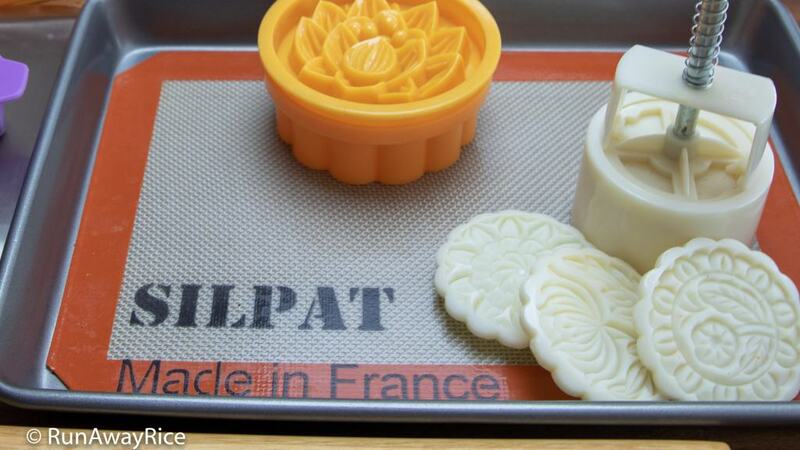 Got your mooncake making tools ready? 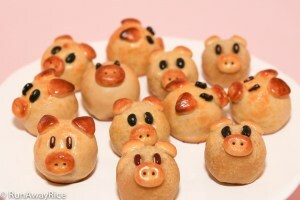 Here are some tasty mooncakes recipes to try!